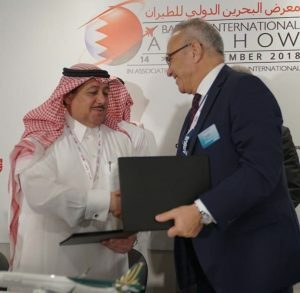 Al-Qahtani Aviation, owner of SaudiGulf Airlines, has signed an agreement to purchase ten A320neo family aircraft. The commitment was announced today at the Bahrain International Airshow, which runs until the 16th November 2018. “The A320neo family represents a natural evolution of our current fleet of A320 aircraft and will contribute significantly to our network expansion in the region as well as internationally,” added Samer Majali, President & Chief Executive Officer of SaudiGulf Airlines. “This order will be complemented with additional A320neo aircraft from the leasing market.” he continued.